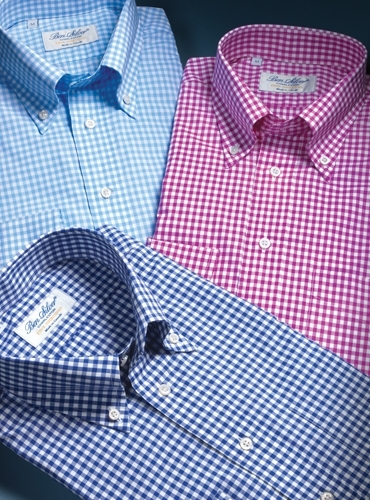 Three wonderful weekend button down shirts, cut from Thomas Mason Italian woven cotton, to our demanding specifications. 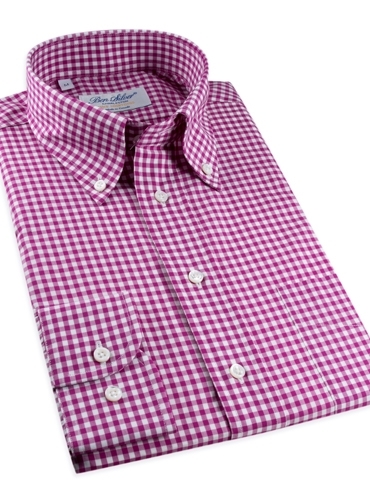 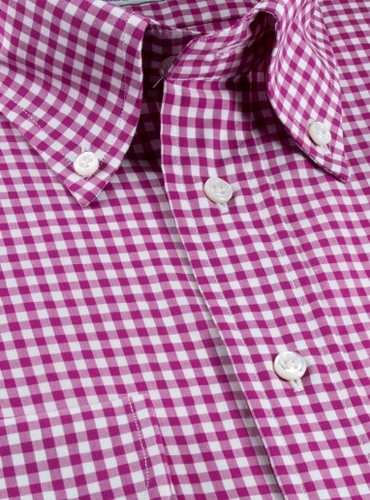 Featured in magenta gingham. 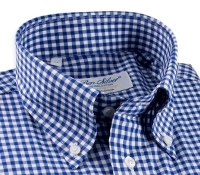 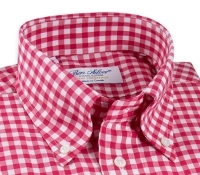 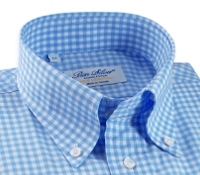 Also available in: A-royal blue gingham; C-light blue gingham.